Aesthetics training with Allison Roberts. “Allison and Don compliment each other with their wealth of knowledge and experience in nursing, aesthetics and business management, and their genuine kindness and drive is contagious ! 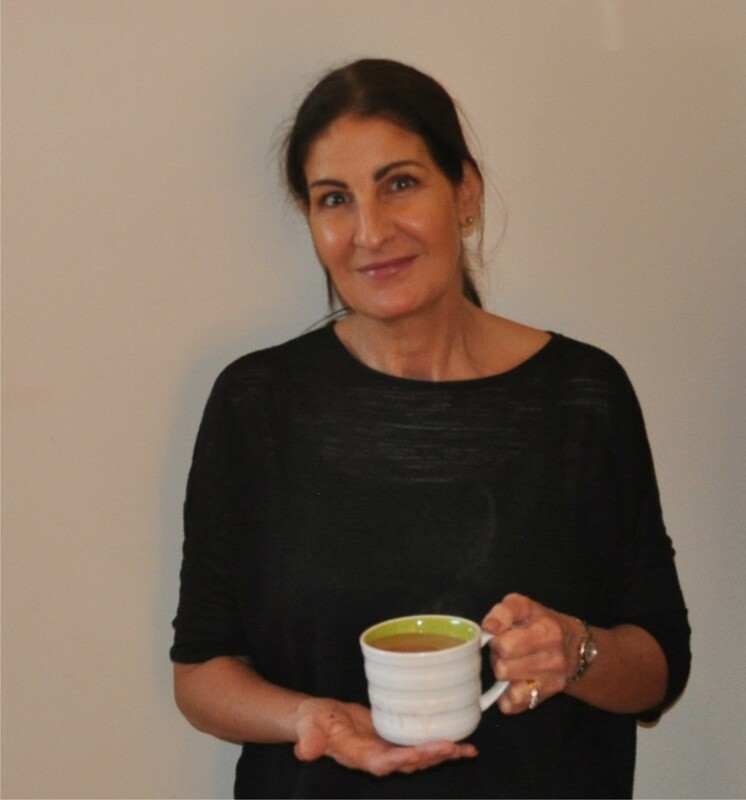 Besides being a successful and highly-regarded practitioner Allison is also a great teacher with a long history of mentoring. Allison creates a friendly, relaxed and interactive learning environment that really involves her students and helps them to absorb the courses well. Allison is a board advisor to the British Association of Cosmetic Nurses. It’s very important to train in small groups. Our groups never exceed three trainees. This allows for a much more personal aesthetics training experience where you can really interact, ask questions and discuss as the course progresses. It’s also very important to get the right amount of time for supervised practice with the models, something that’s often lacking with larger groups. 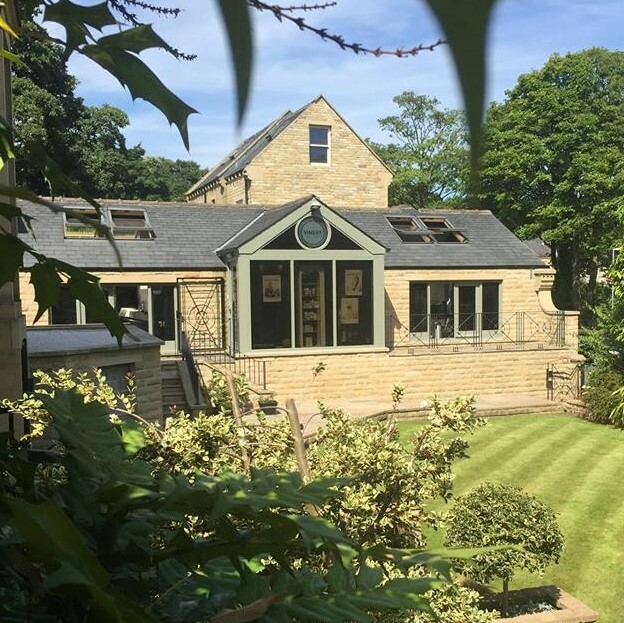 Your aesthetics training and practicals will take place in our beautiful clinic at The Vinery, Huddersfield where you can get a real feel for a successful working environment. Everything needed for illustration, discussion and practical use is immediately at hand. 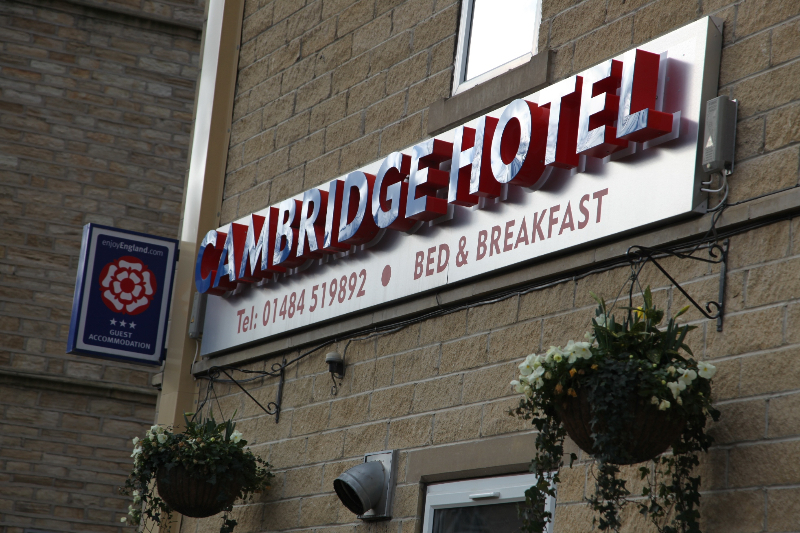 Literally round the corner from our training clinic is the excellent Cambridge Hotel. We include accommodation at the Cambridge in our prices for those students who are travelling from outside of the area. These courses are all CPD certified and approved by Hamilton Fraser Cosmetic Insurance. Botox and fillers are becoming more and more mainstream every year, the biggest growth area being with younger clients. Our microneedling course focuses on vertical powered microneedling rather than rollers. This is a vastly superior treatment as the needle depth can be altered to suit the different thicknesses of skin and the head itself is much better suited to reaching areas of the face that are harder to get to. We include a cordless powered needling device and ten heads within the cost of your course. These are the five main treatments a fully-rounded aesthetics practitioner should offer. With these treatments you’ll be able to offer a solution for almost all the issues your clients present. 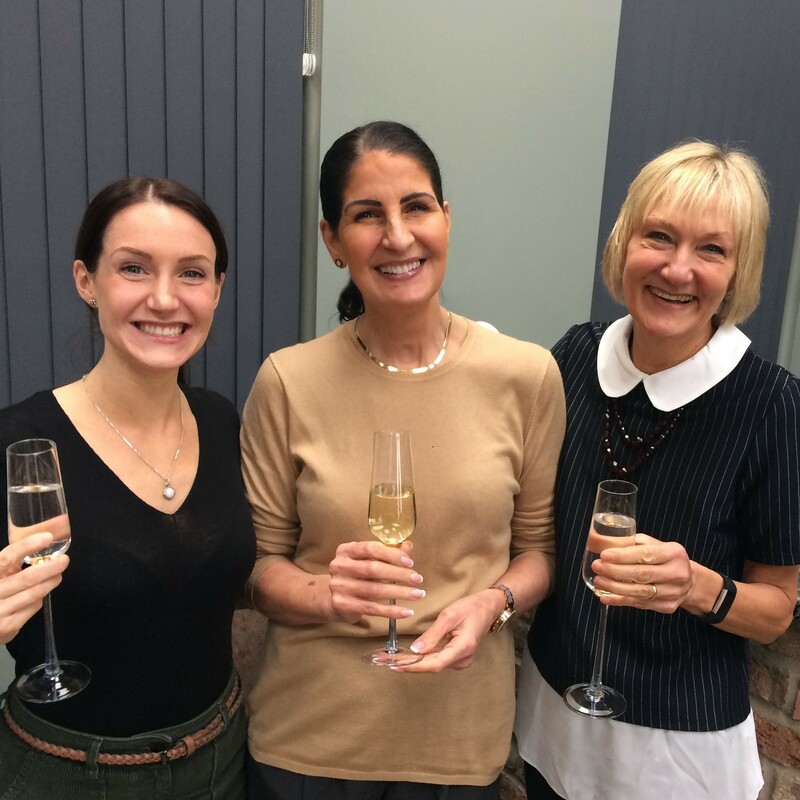 Born out of the realisation that people were being trained in Medical Aesthetics but were given no guidance whatsoever on how to run a practice or a business our Practice Management course provides our students with an excellent blueprint on how to get started and flourish in this field. Included in this course are many things you would normally have to learn by trial and error including two very important aspects of marketing your practice that caused a dramatic rise in the number of new clients we attract. This course aims to fast-track you past the usual slow learning process, connect you to the right people and give you the confidence to become the practitioner you want to be. This course is given by Don McCarron. We’ve packaged our six courses together to enable our students to gain certification in the big five treatments plus our excellent practice management course in just 3½ days. We eliminate the repetition that occurs from one course to another which means we still have all the time we need for learning and practical experience. Our Six Course Package offers an £800 saving on the six courses taken individually. Who can train to be an Aesthetics Practitioner? Doctors, nurses, dentists, dental hygienists and dental nurses can take all of our courses. Beauticians (with a minimum of NVQ Level 3 in General Beauty or equivalent) can train in chemical peels and microneedling. Your trainer will be Allison Roberts. Allison is Harley Street trained in advanced Botulinum Toxin and dermal filler techniques, a Board Advisor with the British Association of Cosmetic Nurses and a very successful aesthetics practitioner. Allison is also a great teacher with a long history of mentoring. Allison creates a friendly, informal and interactive learning environment that really involves her students and helps them to absorb the courses well. Why are the training groups so small? Firstly, it’s our experience that students in small groups are much more likely to interact both with Allison and each other. This creates a much better learning environment where we can be sure that our students are happy with, and have understood, each section of the course before moving on. Secondly, it’s of the utmost importance that students feel they have had enough hands-on experience with the models. This can be difficult with larger groups. Why train in a working clinic? Training in a working clinic allows our students to get a feel for a successful working environment. It’s also important that everything needed for illustration, discussion and practical use is immediately to hand. Our training takes place in beautiful surroundings at our clinic at the award-winning Vinery complex in Hudderfield. What kind of accreditation do the courses carry? All of our treatment courses are CPD certified and approved by Hamilton Fraser Cosmetic Insurance. This package allows you to qualify in the five core treatments every rounded aesthetics practitioner should have and gain a huge amount of invaluable knowledge in practice management in one long weekend. It also provides an £800 saving over paying for the courses individually. You can pay for our Six Course Package in 4 instalments over a year meaning you can be treating clients in all five treatments while you pay for your courses. We believe our Six Course Package is the best and most affordable way to become a complete Aesthetics Practitioner. Can I spread the cost of the Six Course Package? Yes. The cost of the Six Course Package can be spread in 4 interest-free payments. Will I be ready to begin treating clients? Yes. Our courses are designed to prepare you to begin treating clients straight away. Do I need to be a prescriber? No. Most aesthetic practitioners aren’t prescribers, other people do their prescribing for them. Allison prescribes for several practitioners local to our clinics. The BACN keeps a list of willing prescribers which is searchable by area. It’s also worth noting that only toxins and saline need to be acquired on prescription. Fillers, peels and microneedling supplies can be bought freely. What is the purpose of the Practice Management course? There’s no reason why a medical professional should know how to run a practice or a business and yet so many who are training in aesthetic treatments are being expected to do just that. This way we not only qualify you to practice but show you how to make a success of your practice too. I'm travelling from outside of the area. What about accommodation? Hotel accommodation with breakfast is provided free of charge to students travelling from outside of the area. The excellent Cambridge Hotel is literally around the corner from our training clinic. Do I need to bring models for my practicals? No. We provide all of the models for demonstrations and the student live procedures. Will I get any support after training? Yes. We love our students to stay in touch with us and with each other. All of our students are given our mobile numbers and both Allison and Don are always available for help and advice. In addition to this we have our private Facebook group where practitioners who qualify with us can share news, tips, advice and experiences. This really helps new practitioners to grow in knowledge and confidence. Are all training courses the same? Definitely not. There are some important considerations. Is your trainer a working practitioner with everyday experience of clients, new treatments and techniques? Is your trainer an experienced mentor, friendly and approachable? What size are the training groups? Are the training groups small enough for you to feel confident to engage properly with your trainer and ask questions? Are the training groups small enough for you to get sufficient practice with the models? Does the theory training take place live on the day? It seems unbelievable but there are some courses available that expect you to learn the theory at home on your own and have a quick “refresh” session on the day before going straight on to injecting the models. There’s so much more to be gained from a live delivery of the theory along with chatting and interacting with your trainer. Are the courses CPD certified? CPD certification means that the course has reached CPD’s standards in the delivery of the training. If the course isn’t CPD certified there is probably a good reason. This can often be that the theory is not delivered live to save time or that the trainer is not properly qualified. Do the courses take place in a successful working clinic? In a working clinic you have everything to hand for illustration and demonstration. It also helps you to get a good feel for how your clinic can be. Is hotel accommodation included in the price? This can make a big difference to overall cost and takes the risk out of trying to choose a good hotel. Spreading the cost really helps to make the courses affordable and gives you the opportunity to pay for them from the profit you make doing treatments. Can I save time and money by grouping courses? It’s entirely possible to save time and money without sacrificing any quality when grouping courses together. There are several elements of learning that appear in more than one course (for instance we learn about skin-aging in Botox, Dermal Fillers, Microneedling and Peels and we learn about Hyaluronic Acid fillers in Dermal Fillers and Lip Augmentation). By grouping courses together over 2,3 or 4 days we can eliminate the need for repetition. This is how we can offer an £800 saving on our Six Course Package. Is there a Practice Management course? We believe this is very important. Knowing how to treat clients is one thing, knowing how to run a thriving practice is another thing entirely. Are models for the practicals provided? Being let down by your model can ruin your training. It’s always best if your trainers supply the models. Is any post-training support offered? It’s not enough to qualify a new practitioner and push them out of the door. Especially in the early months you need to feel that you have someone to support you 24/7 and answer your questions. The most important thing about training is not just getting a certificate, it’s becoming competent and confident enough to begin treating clients, move forward and thrive in this field. Do I need the Level 7 qualification? No. Despite what many people involved in delivering the course would like you to think Level 7 is purely academic and unnecessary. Just get in touch below and we’ll send you your welcome letter with everything you need to know including your hotel check in details, your course schedule and your payment details. To book your training, or if you have any questions, please get in touch below.